Some Pinners have complained about the Listerine turning their feet blue, my solution: don’t use the blue Listerine! I have read the Listerine foot soak is also a good home remedy for toenail fungus. After my soak I will follow that up with a foot massage using Argan and lavender oil. Sometimes you just have to pamper yourself. The Listerine foot soak is easy. Sit back and relax for the next 10 minutes. I did not take any photos of my feet soaking. That would entail me to shave my legs. I’m not that motivated tonight. Besides it just feet in a bowl of water I’m sure you can visualize that, better yet gather up your supplies and soak your own feet! Your feet will thank you. After writing this last night I did follow up with that foot massage. I asked the husband to do it for me, he laughed so hard he snorted. That’s alright he would have just tickled tortured my feet anyway. For my massage I just poured a little Argan oil in my hand with a few drops of lavender oil and massaged away. Argan oil works well for a foot massage, it absorbs into the skin quickly so when you stand up you don’t have to worry about doing any ‘Risky Business’ dance moves because of slick feet. I think it means the same amount of each — vinegar and listerine. 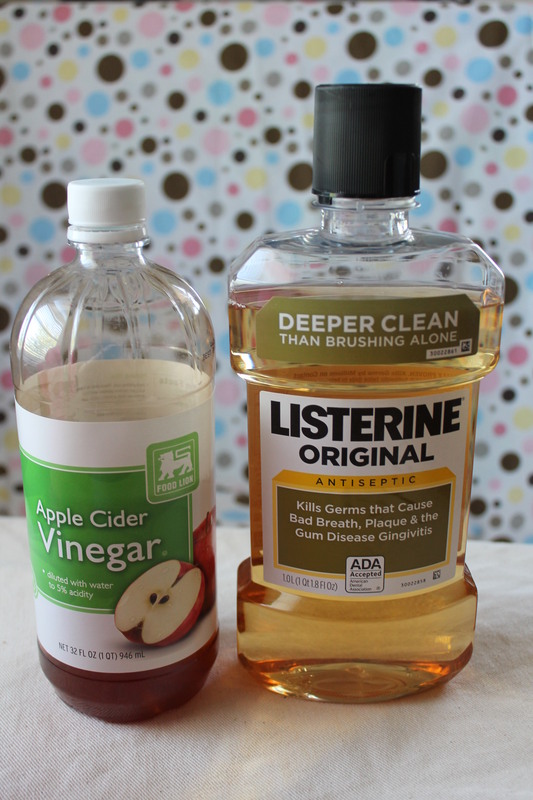 So if you use 1 cup vinegar, use 1 cup listerine. half and half.